A common word that you can associate anyone that made the terrible decision long ago to follow the Miami Dolphins is frustrated. It’s an emotion that we the ones that bare this cross have been living with for the last 20 years. Frustrated over just about everything this team does mainly because the moves they make whether off the field or in game, seem like the dumbest moves imaginable. I’m not going to go through the laundry list of things this franchise has successfully screwed up, but yesterday’s performance skips a bunch of the dumb moves and approaches the first tier of dumb mistakes. Was there some good, sure there was. If a couple of plays went other ways would this be a more positive blog? Absolutely. But Miami lost under weird circumstances yet again. Here’s what I saw. 1. Excellent opening drive by Miami. Tannehill came out drilling receivers who were getting separation. Gore, per usual, ran the ball well. 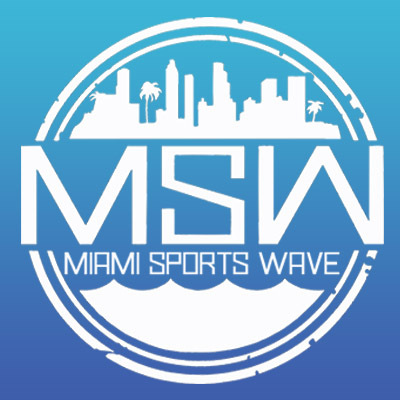 I was waiting for the inevitable snap to sail past Tannehill to end the drive, but instead, for the first time all year and I believe in 18 opening drives, Miami scored an actual touchdown on an opening drive, their first TD in 9 quarters. You don’t give Ryan Tannehill a free play because when you do he’s going to flip the ball out to flat and have Drake do all the heavy lifting just like Brock Osweiler did against I think the Texans. Everybody knows this. Drake showcased once again why he should be getting the ball more, but as well know, that doesn’t mean anything in Miami. Okay, it’s a nice feeling to have an early lead. I really forgot what that was like. 2. Hey did my eyes deceive me or on that opening drive did I see a Tannehill complete a pass down the seam to a TE? Did a rookie TE catch it? One did, well I know who that was. Had to be the guy I’ve wanted to be freed all year. Congrats Durham Smythe. 3. Alright Miami!! We have a lead. Lets go out there and play some stout D and get the ball back for our budding offense. Ready break. Annnnnnnnnd the defense gives up a TD to the Colts in what felt like two minutes. Well that’s just great. Eric Ebron, a man that Matt Stafford and the Lions couldn’t figure out how to get the ball(hmmm sounds like a team I know) bodied up TJ McDonald and scored. Good pass, better catch. 4. Obviously, during his five week recuperation of that blasted capsule injury, Tannehill was working on his hard count. He got the Colts to jump offsides three times. Like a blind person developing better hearing, Tannehill developed a deeper voice. Maybe he just needs to injure more body parts until he can further develop his arm or an internal clock. Also, I loved Trent Green saying he knew that what was Tannehill was doing. Man, let me tell you, that QB fraternity must be so cool. 5. Everybody reading this should feel blessed and should rejoice. We are all witness to being alive when Raekwon McMillan made his first NFL big play. He forced a fumble and Miami recovered. Miami will surely cease this moment and strike. 7. I love me some Laremy Tunsil. 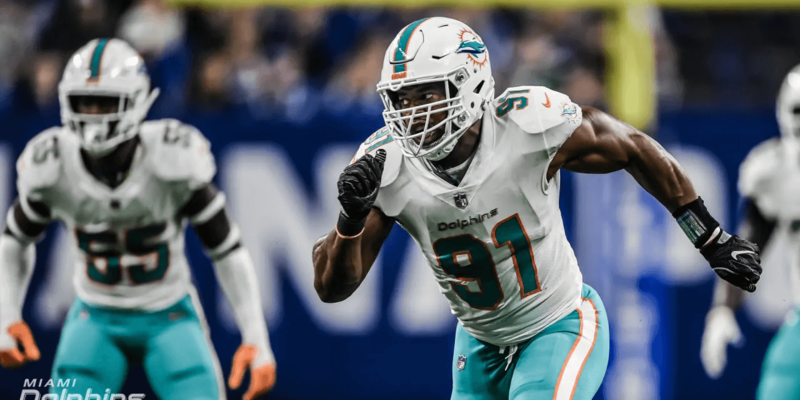 The guy has been one of Gase’s only gems that he brought here and he’s a monster who will be with this team for years to come. But, two penalties just can’t happen for this team. I know that’s sort of unfair to ask because holding happens so frequently, but I’m asking it anyways. 8. Not that I’m that surprised but Bruce Arians certainly has some kind words for Andrew Luck and the Colts and by kind words I mean he was tripping over himself trying to say everything they did regardless if it was a bad play for them or not was a smart thing to do. 9. Tannehill, in his constant pursuit of checking it down, nearly got picked sixed that would of probably sealed the fate of the Dolphins in the second quarter. Whoever dropped that INT could have moon walked into the endzone if they caught it. Must be Miami’s day. 10. I hated this when it happened because I said to myself possibly the phrase of the 2018 NFL year, which is “what was he supposed to do?” But, this tweet is pretty dang funny. Obviously, Kiko Alonso needs to saw off his arms to avoid these penalties. 11. How many of us when Jacoby Brissett came in the game and saw Minkah getting closer to the box were thinking there’s no way they throw it out to Luck? Well they did and Reshad Jones greeted him. 12. Minkah Fitzpatrick looked like he had a rough day guarding TY Hilton. Hilton finished with 7 catches for 125 yards and a lot of that looked like Fitzpatrick was in coverage. I think Fitzpatrick is the truth, but matching him up on a guy like Hilton might not be wise especially because, you know, one of the CB’s in football is also on the team. Maybe that’s scheme. Maybe that’s a symptom of playing a zone defense. Whatever it is, I don’t like when Howard isn’t guarding the team’s best receiver all over the place. Lose with your best. 13. 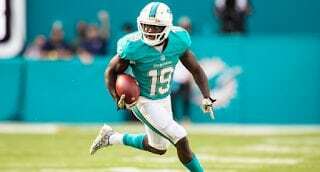 Tannehill gives of all people Leonte Carro a chance to make a play and he delivers. I guess it’s certainly possible Carro might have some talent. I mean that was a pretty athletic play. Probably get him a few more chances to make plays. Noperz. That was his only catch. He probably won’t have another catch ever again for Miami. Classic Dolphins. 🚫NO-FLY ZONE 🚫@Iamxavienhoward with the PICK. Just INT’s in consecutive passes of Andrew Luck. No big deal. Howard is a stud, we all know that. I feel bad for him. I feel bad for him like I felt bad for guys like Surtain and Madison. Guys who ball out and still get no where. Makes no sense. So frustrating for everybody. 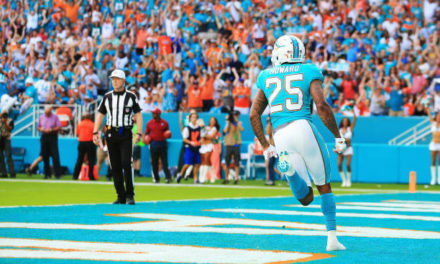 Pencil Howard in the pro-bowl if not all pro team. 15. Darren Rizzi has his special teams humming. Alonso blocks a punt and for whatever reason Jerome Baker decides to field like it’s no big thing except for the part where he’s a LB. Miami gets the ball back but has to settle for three. I’d be upset with that result if I thought there was a chance there was a realistic better result out there. 16. Cam Wake looked fresh out there. He got a strip sack of Luck, which if you didn’t hear during the 14,000 times it was mentioned by the booth crew, was first time Luck has been sacked in a while but unfortunately, Kiko couldn’t fall on it. When a play like that happens I always say to myself that Miami really needed to make that play because I know their offense is probably not going to bail the defense out. 17. Adam Vinatieri aged out after that miss kick. His rods and cones must be starting to finally wear because I never saw a kick get miss hit like that before. Yeah, I know he made the game winner. Also, I was flying high after that. Things were strangely breaking in Miami’s direction. 18. Miami drives the field and actually punches it in to go up 10 after this play. Kenyan Drake finds the end zone for the second time today! A real nice run to put Miami up 10 that had the Colts mascot turning a family program into something more graphic. Drake is doing a real nice job on continuing his morphing into Lamar Miller. It has only enhanced him on the field. 19. Miami was up 24-14 with around 13 minutes in the 4th quarter and there wasn’t one part of me that thought they could win the game. How sad is that? I’ve seen this story before and always ends up with the team with the better QB saying enough is enough and just taking over. 20. Miami gets the ball up 7 deep at their 25. Okay, no big deal. Teams get in this position all the time. Get some first downs and whatever you do don’t take your foot off the gas. You don’t want to give Andrew Luck the ball back because you know what he’s capable of and you know their defense can’t stop a good QB with their back against the wall. Put your best foot forward. Annnnnnnnd Gase dials up on a 3rd and long a draw play to Drake that goes no where. On 3rd and long with the most important drive of the year that’s what you do. I can’t see why but alright I guess. Miami punts and the Colts get it deep in their territory. Need a stop. 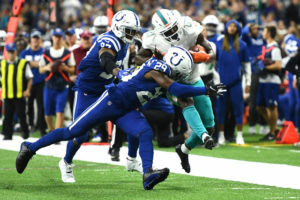 Miami’s defense acts as if they’re ghosts, not the kinds like in Angels In The Outfield where they can manipulate athletes, the kinds that can sort of move a book and let the Colts go right down the field to score. Tie game. 21. Miami gets the ball back deep in their territory. This is the biggest drive of the season. It basically determines if Miami will still be in realistic playoff contention or home in January. Gotta make some plays. Gotta let your guys make plays. Surely, Gase knows that if the Colts get the ball back they are scoring. I know it, you know it, the head coach of the team has to know this. So what does he do. He draws up three of the worst plays of the season which is topped off by yet another 3rd and 10 where Miami ran the ball. Simply amazing. 22. Miami punts, Luck gets the ball and well of course this happened. DAS entscheidende Play zum Sieg der Colts. Was there ever a doubt that Luck would make that play? Did anyone actually believe Miami could stop them? The answer is yes and that person was Adam Gase. He thought his defense would stop the Colts. Just a laughable notion. Colts make the field goal and that’s the season for Miami. There was holding on this play for sure, but how do guys constantly get completely wide open so frequently on this defense. I don’t if Miami had a play like this all year where a receiver was simply forgot about but this happens to Miami a few times every week. Frustrating. Simply frustrating. Frustrating and yet very typical. This tweet from Adam Beasley says it all. Dolphins, with their season possibly on the line, has produced six plays for minus-1 yards the last two drives. If that’s not Dolphins football, I don’t know what it is. Gase came out and said that tons of wild things, but the worst thing he said was that he’s seen a hall of fame QB get sacked for a safety, in that building before. He’s referring to Peyton Manning getting sacked for a safety in the Superbowl against the fierce Seahawks. That was in his head when he ran the ball on 3rd and 10 from their 6 yard line. Basically, he thought there was a better chance that his guy, the QB that he has stuck with through all the injuries and up and down play, had a better chance of getting sacked for a safety or throw an INT than throw an incompletion. That is crazy to me. He doesn’t have the confidence that a starting QB could throw an incomplete pass. That’s where we’re at. Roethlisberger, who I know is better than Tannehill, threw a 97 yard pass to JuJu Smith-Schuster yesterday. So it is possible to get work done backed up. But Gase has exactly 0% confidence that Tannehill can throw a ball in the dirt on 3rd and 10 if nothing is there. Gase survived Monday, so he’s not getting fired this week. I really don’t think he’s going anywhere now or any time soon. His assistants like Burke will most definitely be gone sooner than later but Ross still believes in Gase. Maybe for only one more year, but at least another offseason. Miami pretty much has to win out to have a chance to make the playoffs. They play the Bills twice and the Jaguars and Vikings. It’s crazy to think but they can very well win 3 of those games. 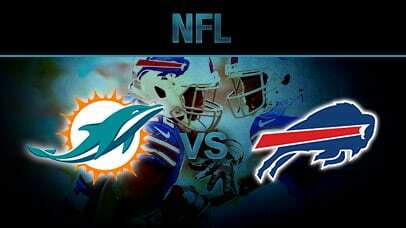 I don’t think they will because I don’t think they’ll travel to Orchard Park and win there, but 9 wins is possible. Miami had a chance but in classic Dolphin form, they left everyone who supports them frustrated. I know no other feeling.